whereby "status" is a declared Workflow Variable. 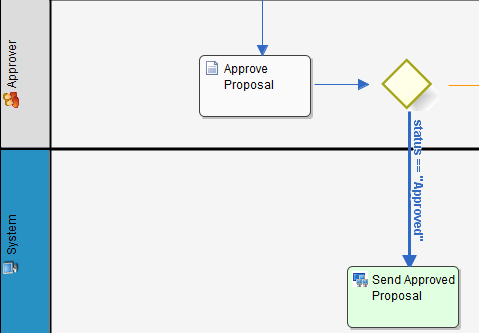 If the "status" variable contains the exact string of "Approved", then the Workflow would then flows to "Send Approved Proposal". And in this workflow design below, we are looking for the string of "Approved" in the variable "status"
The strings below would result in a true flag being returned. as it matches "Approved" in any part of the string.